Colour control coming to QGIS 2.0!! 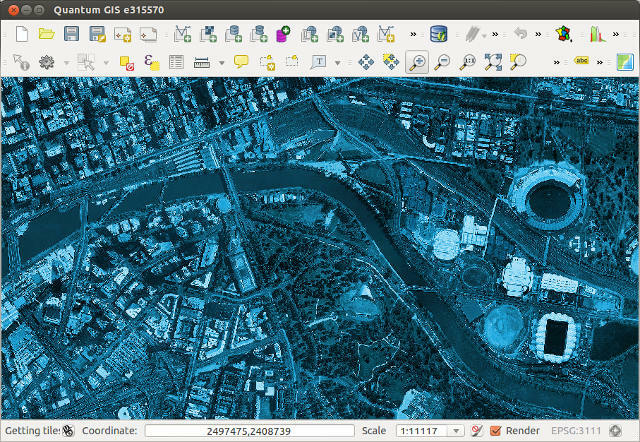 This was stolen from NYallDawson, but if true, it further shows the brilliant work the developers over at QGIS have done to make QGIS a real GIS contender. … and after increasing the saturation! Ah, much better. This actually looks like somewhere I’d like to live. A bit over-the-top perhaps, but it IS handy to make quick adjustments to raster colours in this way without the need for any external programs. But now, you can forget about all that frustration and quickly turn a raster grayscale by using a control right inside the layer properties! 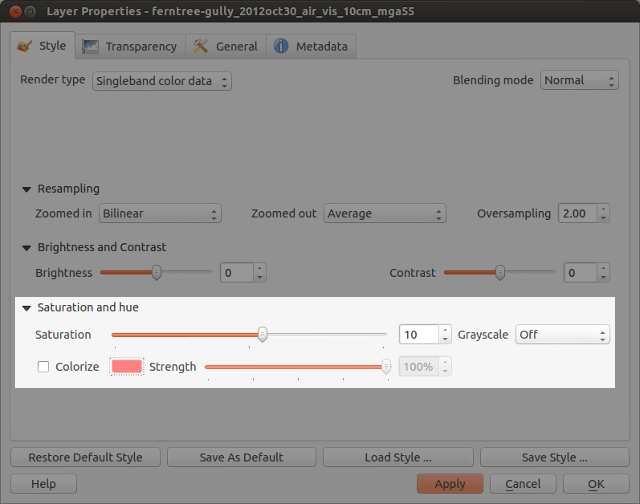 You even get a choice of desaturation methods, including lightness, luminosity or average. 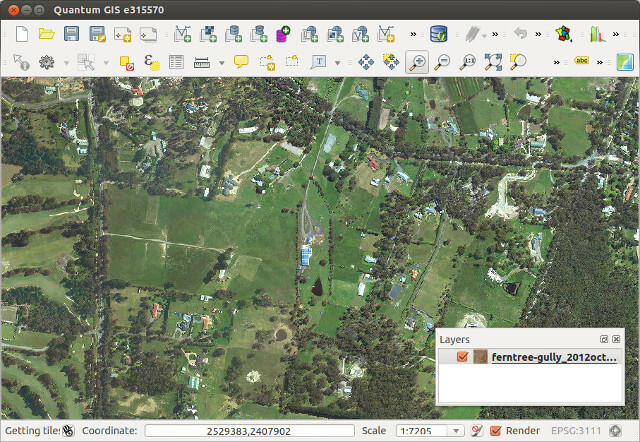 Best part about this is you can then right click on the layer to save the altered version out to a full-resolution georeferenced image. 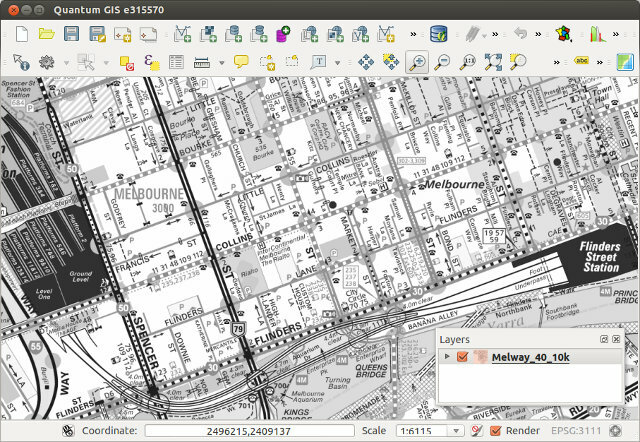 Street map in grayscale… woohoo! … and the end result wouldn’t be out of place in Ingress or some mid 90′s conspiracy flick!